BEAUTIFUL LARGE ALL BRICK 5 BEDROOM 4 BATH HOME ON OVER 6 ACRES WITH 6700 SQ FT OF LIVING SPACE WITH A FULL FINISHED WALK OUT BASEMENT. 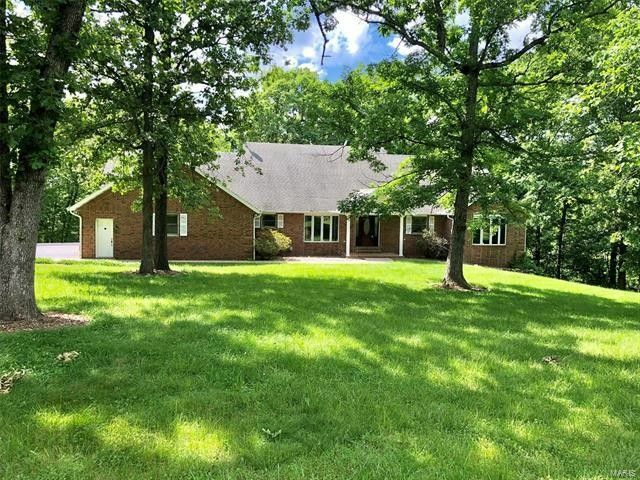 THIS HOME IS NESTLED IN THE TREES ON A CULDESAC IN A BEAUTIFUL WOODED AREA. THE HOME IS VERY SPACIOUS WITH LARGE ROOMS, RECESSED AND VOLUME CEILINGS, AND MANY RECENT UPDATES. 2 FIREPLACES ONE LOCATED ON THE MAIN LEVEL LIVING AREA AND THE LOWER LEVEL FAMILY ROOM, IT OFFERS A DUEL GEOTHERMAL HEATING SYSTEM, CENTRAL VAC SYSTEM, A SUNROOM, BUILT IN BOOKCASES, LARGE MASTER SUITE WITH A LARGE BATH WALK IN SHOWER, JETTED TUB, A LOFT AREA AND STUDY AREA, 3 CAR GARGE PLUS A WORKSHOP AREA, LARGE REAR DECK FOR ENTERTAINING, A FIRE PIT FOR THE CHILLY NIGHTS. LOCATED JUST OUTSIDE THE CITY. THIS HOME IS PRICED TO SELL OFFERING A LOT OF SQUARE FOOTAGE AND QUALITY FEATURES FOR THIS PRICE !